2017 was a breakthrough season for DME Racing. DME owner Dimey Eddinger introduced his first exhaust system product line to the market and it quickly proved to be a highly competitive system with wins spread across pro, sportsman, and grudge classes. 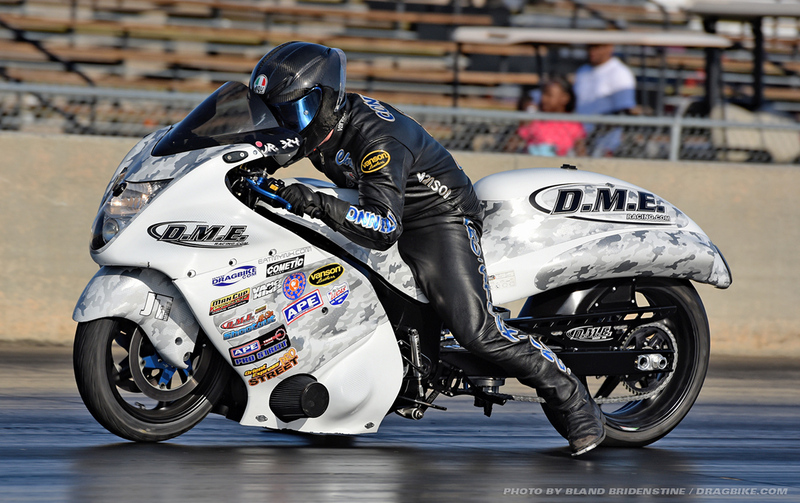 On track the DME team continued their dominance with numerous championships. 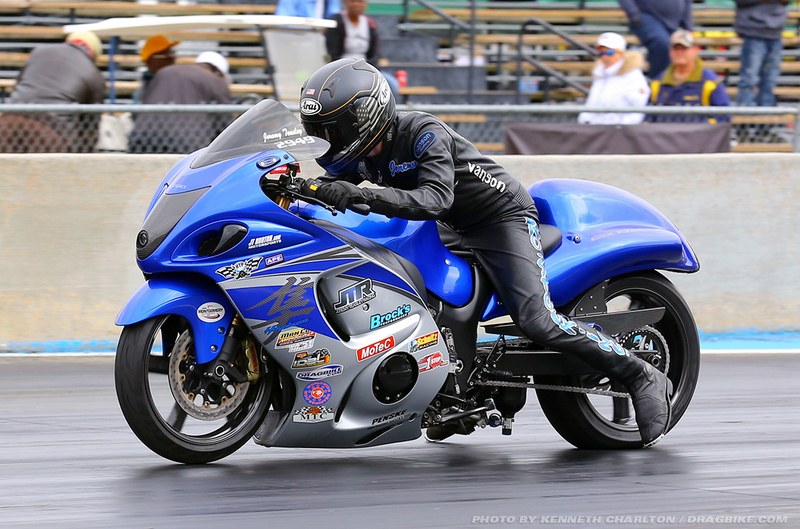 Team rider Jeremy Teasley won championships in Man Cup Pro Street, NHDRO Top Gas, and the IDBL 5.60 class. He also took Big 8 win at the Kings of Grudge series. Sportsman team rider Dustin Lee cleaned up with his 3rd straight Dragbike.com BAMF championship along with FIVE championships in IDBL, Man Cup and NHDRO to make him the most feared sportsman racer in competition today. 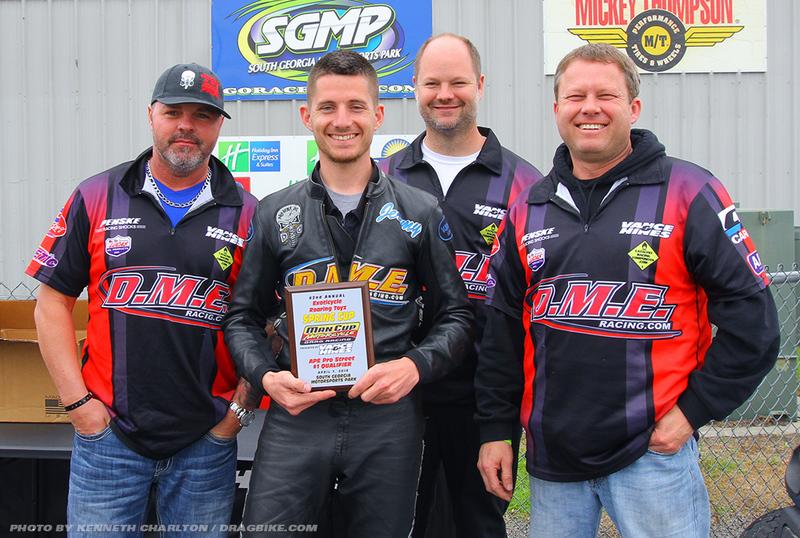 Pro DME riders Terence Angela, Jason Dunigan, Jeremy Teasley and Chris Connelly all improved throughout the year moving up the Pro Street G.O.A.T. list (Greatest of all Time), making them a 6-second Pro Street team. But without all that success, the team did not rest on its laurels and made changes across the board for 2018. The off-season is a time to regroup and strategize for the next season, and the DME team took it to the next level. Immediately following the season, all team bikes were put on lifts and team tuner and chief mechanic Andy Sawyer started taking them apart. 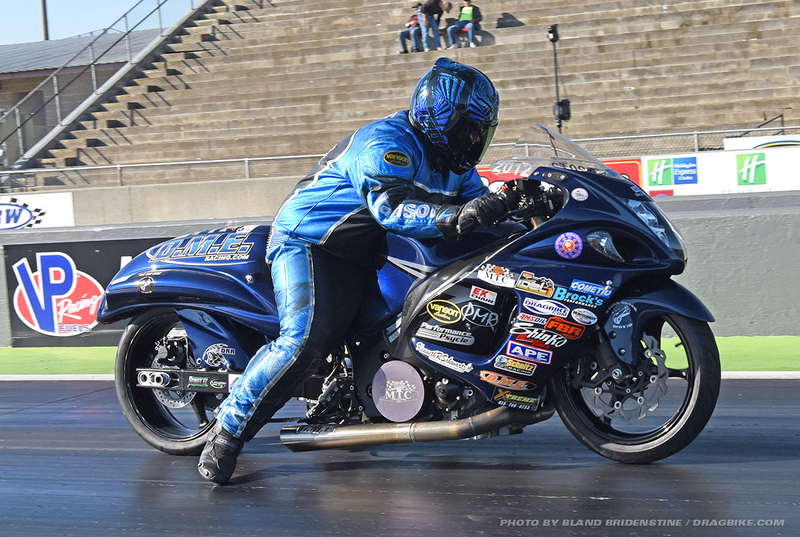 The results were immediate with Teasley taking wins in both Pro Street and Super Comp at the Man Cup season opener at South Georgia Motorsports Park. Since Pro Street rules were changed in the offseason, Sawyer decided to strip down all the bikes to their frames to rebuild a new fleet of state of the art racing motorcycles. Both Teasley and Dunigan have bikes that have been rebuilt from the ground up. Teasley’s bike is running on a new motor combination while Dunigan is now running on methanol. Despite the learning curve on Dunigan’s bike, the team still had a very successful weekend at Man Cup. Teasley ran a 6.74 right off the trailer taking the #1 spot with a 6.73. He then defeated Francisco Valentino and Mike Kovacevich before taking out Rickey Gadson in the final. Chris Connelly struggled with the flu but worked hard, determined to make it a successful weekend. He made it to the semi-final in Pro Street, but his biggest accomplishment of the weekend was running a 6.84 elapsed time and moving up on the Pro Street GOAT list. Terence Angela was missing from the event as he is currently building a new home for his family. “You can’t even imagine how much I missed being there,” he said. “After five years of racing, this is the first race I have missed. But it’s a for a good cause.” Angela expects to be back to racing in July. 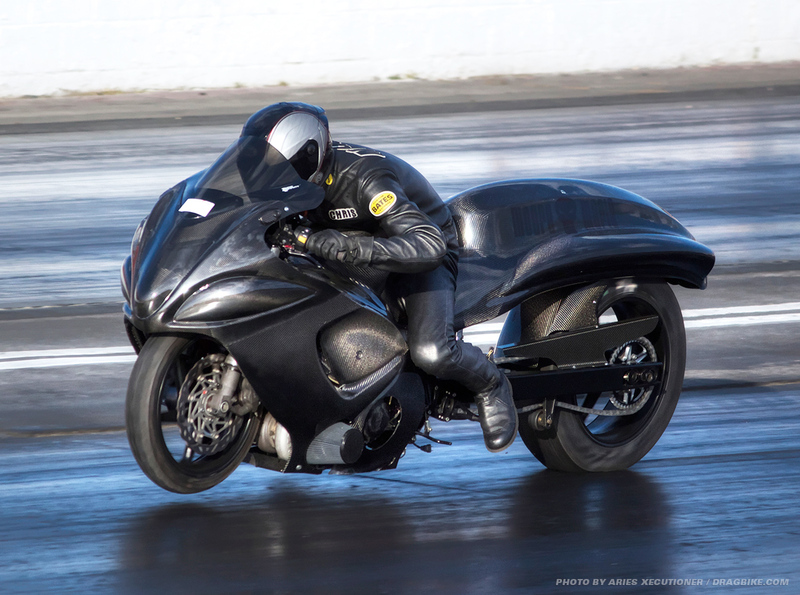 One of the fastest turn-around build’s came with Michael Daddio’s new Sportsman Hayabusa. 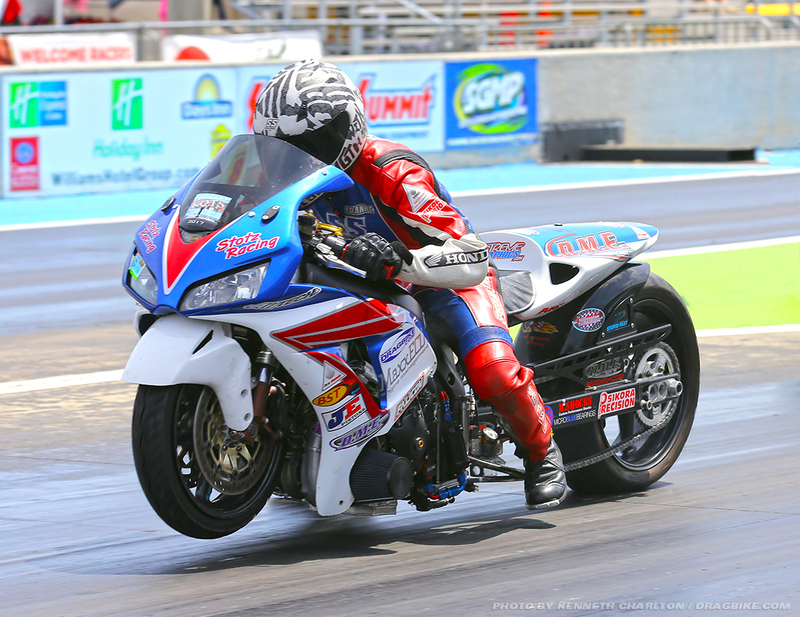 In less than two months the DME team rebuilt his entire motorcycle with the goal of giving him a faster more consistent bike for the 2018 season. 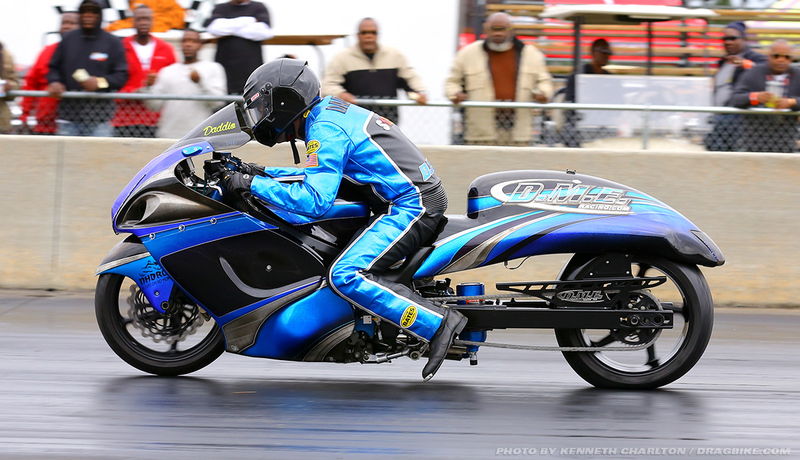 The bike was finished at the racetrack with Daddio taking in on its initial runs and recording his fastest pass ever – a 7.86 on nitrous. 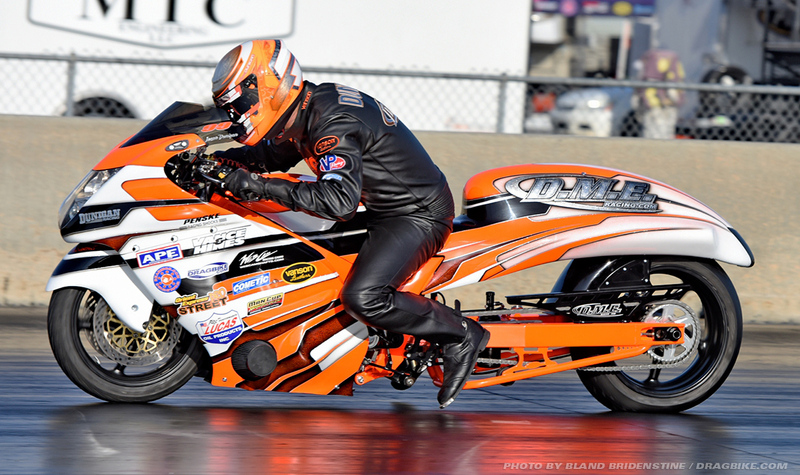 Following the Man Cup event was the NHDRO season opener in Atlanta. 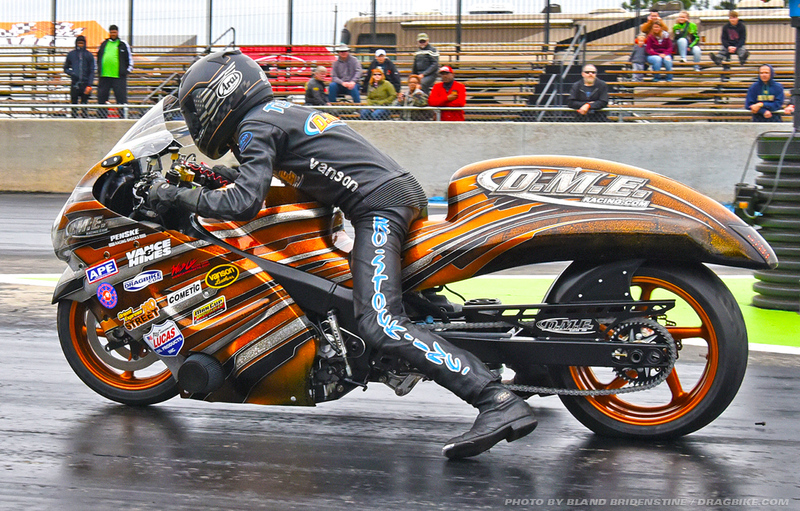 Pro Street racer Frankie Stotz took his freshly-built DME turbo Honda to the winner’s circle, and DME Sportsman team rider Dustin Lee entered five classes, making it to four finals and winning the Crazy 8’s class. And in the Grudge Category, Chris Moore’s fully built DME Grudge bike, ‘Cash is King’, took home it’s second win of the year in the ‘Last Man Standing’ race. The team now heads to Beech Bend Raceway for the Outlaw Street Car Reunion, and then to the XDA season opener at Maryland International Raceway. DME Racing thanks their sponsor for another year of support: Penske Shocks, NLR, Vanson Leathers, Lucas Oil, CP/Carillo, Web Cams, Worldwide Bearings, Cometic Gaskets, Robinson Industries, VP Racing Fuel, Dunigan Racing, DCE, MTC, APE, Vance & Hines, Beringer Brakes, and Owen Developments.